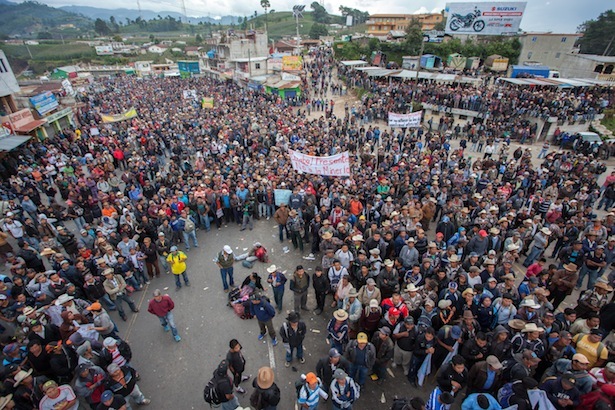 Indigenous people in Guatemala were in the front lines of anti-government protests in late August, just a week before the resignation of President Otto Perez Molina on September 2. Perez Molina was then arrested on charges that he participated in a multi-million dollar fraud scheme. 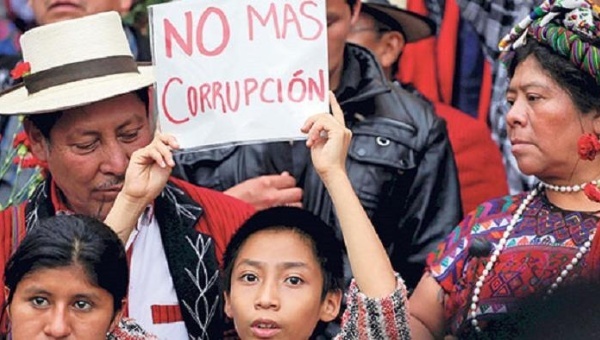 But indigenous activists, along with tens of thousands of other Guatemalans, had been protesting against many of his policies since the Spring, which culminated in three days of non-stop protests from August 25-27. Late in the afternoon of September 4, after nearly 10 days of protests by a coalition of labor, indigenous rights groups and farmers, the indigenous peoples and campesinos of Guatemala won a rare victory. Under the pressure of massive mobilizations, the Guatemala legislature repealed Decree 19-2014, commonly referred to as the “Monsanto Law,” which would have given the transnational chemical and seed producer a foot hold into the country’s seed market. 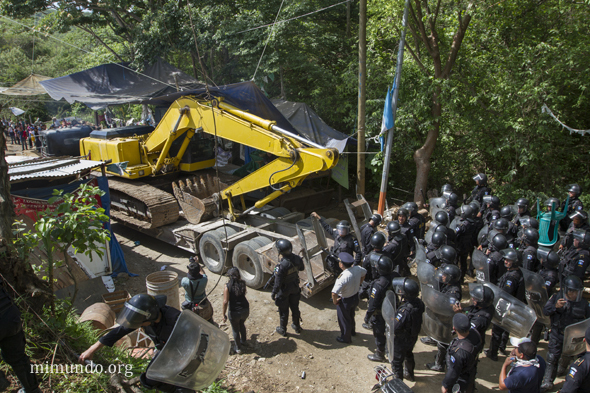 Riot cops eventually succeeded in moving in heavy machinery for the mining corporation.